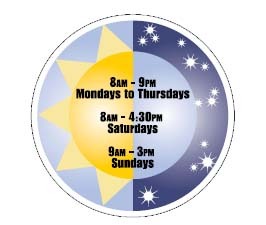 Extended hours through Elliot Pediatrics After Hours. We provide 24-hour nurse triage services. One of our Physicians is always available for emergencies. At Doctors Park Pediatrics, a department of Elliot Hospital, we're dedicated to providing a caring, family-centered approach and a total commitment to the healthy development and growth of your child. Personal attention and care is given to children of every age, at every stage of development. This includes well-child care and pre-birth consultations. We monitor each child's emotional and physical development through childhood and adolescence, so we can advise you on your child's health and behavior, as well as on parenting skills. For your convenience, we offer x-ray services on site. We offer laboratory services through Elliot Hospital and all affiliated Elliot Hospital Lab locations. By offering these services to you, we are better able to help your child. Monday through Friday 8:00 a.m. to 5:00 p.m. Extended hours at Elliot Pediatrics After Hours (located at 275 Mammoth Rd Suite 1) Monday through Thursday until :009 p.m., Saturday from 8:00 a.m. to 4:30 p.m. and Sunday from 9:00 a.m. to 3:00 p.m.